I scream, you scream, we all scream for ice cream, right?!? The best part about summer is enjoying a nice cold ice cream treat on a hot summer night. 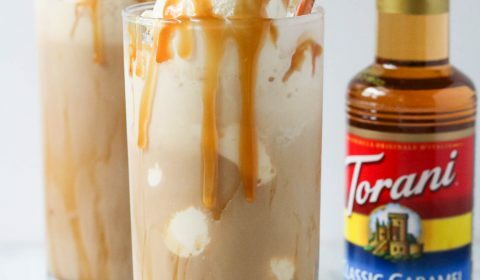 Of course, there are the traditional ice cream floats using various carbonated sodas, but what about creating an ice cream float from your favorite coffee drink? That’s right, a caramel dirty chai ice cream float! 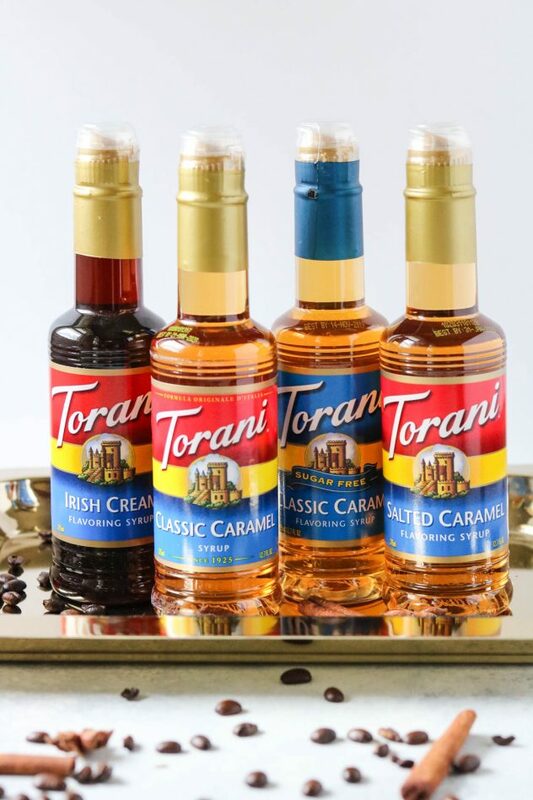 Thanks to Torani® Syrups, you can bring your favorite coffee shop drinks right into your own kitchen. As a kid, I loved making homemade ice cream floats. It was the highlight of my summer when mom brought home all the ingredients for ice cream floats. Now, as an adult, I get to create my own summertime treats for both me and my family. 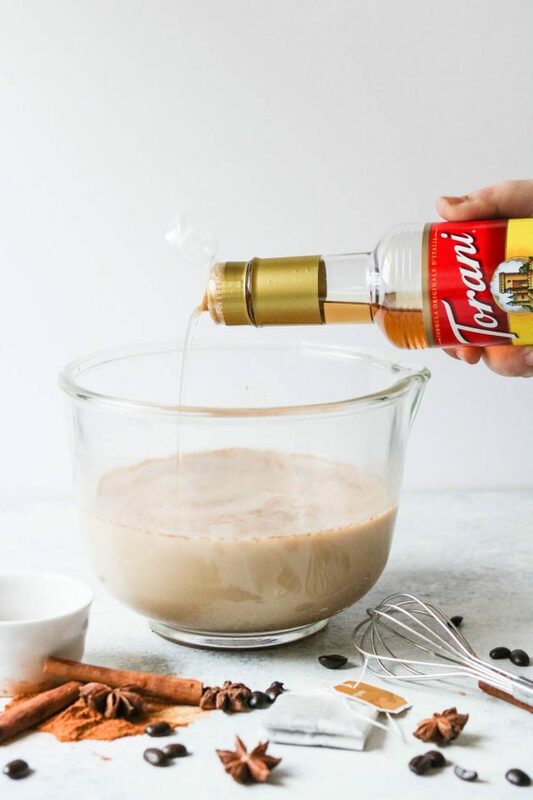 With Torani® Syrups you can literally create almost any recipe your heart desires! Plus, each syrup is made with real, simple ingredients like pure cane sugar and natural flavors. Need sugar-free? No problem, you can also pick up any of Torani’s® Sugar-Free Syrups, too! Be warned, creating Torani® drinks can be so addicting! Once you start creating your own unique drinks you won’t want to stop! 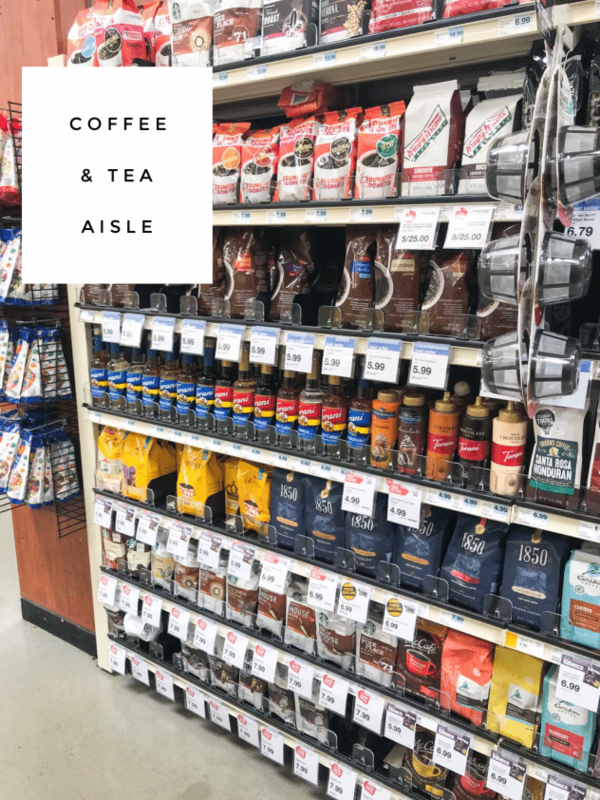 Torani® Syrups are available at your local Hy-Vee grocery store, right in the coffee and tea aisle, so no having to go to any specialty grocery stores. Just grab the flavor(s) you want and head home to start creating tasty drinks! To help you, use this Torani® Store Locator to find a store near you. Plus, you can save $1.00 on any (1) Torani® Syrup and Sauces at your local Hy-Vee. Click on the coupon link below. Search for the offer on Hy-Vee’s coupon gallery. Once you find the offer, just clip it to your card so you can redeem the next time you shop! So simple! I bet you’re ready for the recipe by now, right? 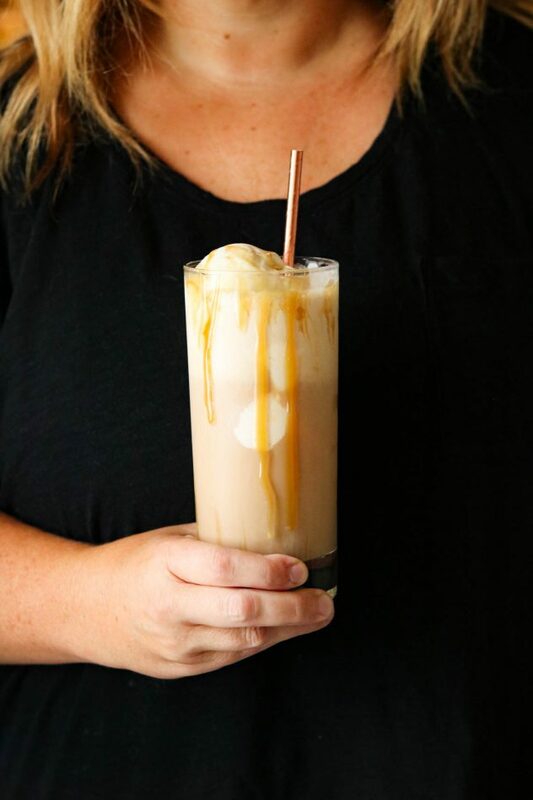 These caramel dirty chai ice cream floats are super simple to make. 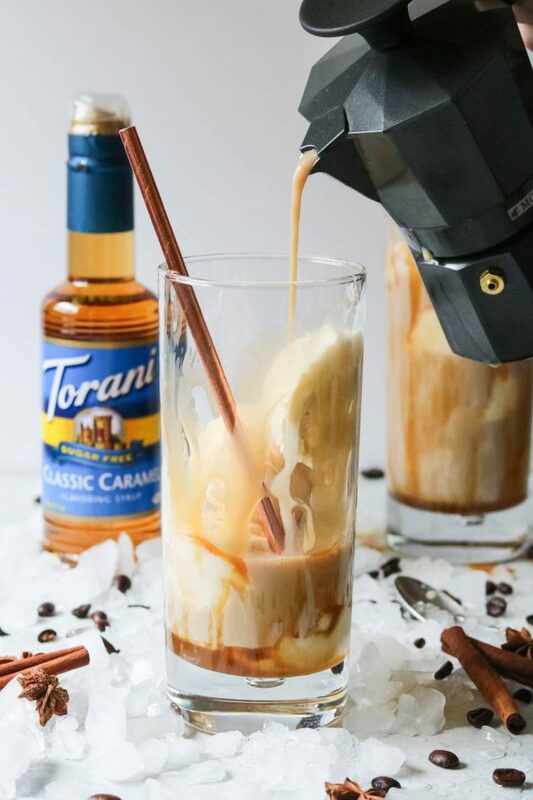 Mix together the dirty chai latte ingredients, add in the Torani® Classic Caramel Syrup, and you are ready to start assembling your ice cream float. The espresso and milk in the dirty chai latte mix help balance the sweetness of the caramel syrup. Because we’re assembling ice cream floats, we’re essentially making a cold chai tea latte mixture so it doesn’t melt the ice cream. Pour your caramel dirty chai latte mixture over ice cream. 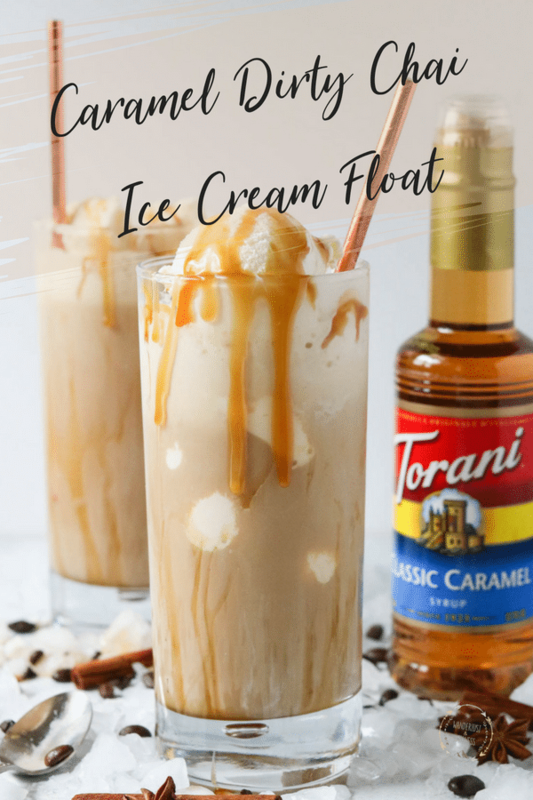 You can even top off your dirty chai latte ice cream float with Torani’s® caramel sauce because you can never have too much caramel! This is the perfect #toraniendlesssummer treat. Is your mind just spinning with all of the tasty summer drinks you can make?? 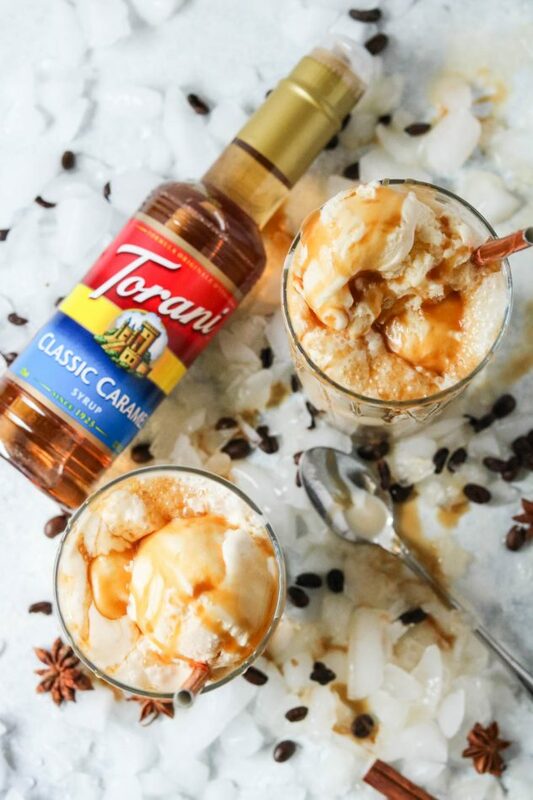 Get creative, re-live your childhood summer memories, and start making your own ice cream floats with Torani® Syrups! Boil 8 ounces (1 cup) of water in a tea kettle, pour into a cup and add the chai tea bag. Let steep for 5 minutes. Then, remove the tea bag and let cool. You can place in the freezer or refrigerator to speed up the cooling process. In a mixing bowl, add the cold espresso, vanilla, Torani® caramel syrup, milk, cinnamon, and cooled chai tea. Whisk together until well combined. Fill a tall glass with scoops of vanilla ice cream. Pour the dirty chai tea latte mixture over the ice cream until full. Drizzle with caramel sauce, if preferred. Serve immediately. Obsessed with this recipe! Stumbled on your blog today and am so delighted. What kind of chai did you use? Hi! For this recipe, I used Tazo Organic Chai blend, but feel free to use your favorite chai tea. This float looks fantastic! Love the flavors, coffee and chai, yum! I would love to have one right now! This looks like a perfect treat for a summer afternoon! I love ice cream floats and this one looks really tasty! Ice cream floats just scream summer treat to me! I’m all about this chai float! Feels like the perfect indulgence for late summer when you start to crave all things caramel but it’s still hot! Yes! The perfect marriage between your favorite hot drink and a summer treat! You’re absolutely right. There’s not such thing as too much caramel. This is an amazing idea, and it’s perfect for days when it’s so hot. We don’t drink coffee, but love tea. Do you think this would work well if we just made two cups of chai tea and left out the espresso? I don’t really see how it wouldn’t, but I wanted your opinion. I always thought of ice cream floats as needing soda – so chai and coffee have just opened up some options for me! Great idea! Ice cream floats are just so SUMMER! But why should the kiddos have all the fun, right?!? This is such a terrific, grown-up take on a favorite, and I’m so intrigued by the combination of coffee with chai – yum! What a great post (thanks for the coupon, too!) and I LOVE your gorgeous pics! Thank you! I hope you enjoy one of these floats! I love this idea! and I like that it uses chai tea. This sounds like it has an incredible flavor and it looks pretty easy to whip up as well! I’ve definitely got to try it before summer is over! Oh, yummy! I love torani syrups. Especially for the fact that they come in sugar-free varieties! This dirty chai has got my name on it! This drink looks like such a treat! I could use one right now to beat this crazy Texas heat wave! I love chai tea…so this sounds delicious to me. What a fun summer treat….perfect for this hot weather we have been experiencing. It’s been soooo hot this summer in Kansas City!